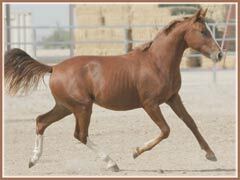 Horatio is a lovely gelding by the ATA-approved Arabian stallion Aul Magic ox. 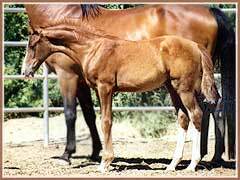 His dam HIMMLISCHE also produced the 2003 gelding HUGO and the young mare HADLEY, who will eventually replace her dam in our mare herd. 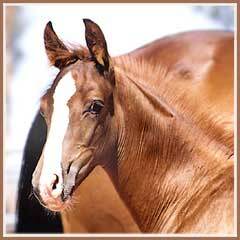 Horatio is fully nominated to the ATA Futurity and will compete in-hand as a youngster before embarking on a dressage career. 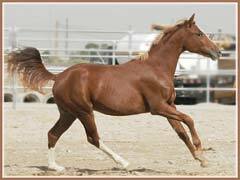 With his uphill, freely swinging movement, excellent character and exciting mix of quality Trakehner and Arabian blood, he will make an outstanding competition mount. Keep an eye out for this talented young man! After a successful season showing in the USDF Breeders Championship Series, Horatio ended the year with a median of 77.6%. We are thrilled with the results of his first year showing and were pleased with his calm and willing attitude at the showgrounds. 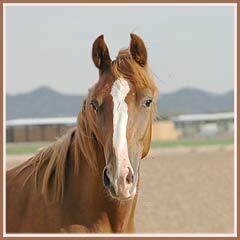 Travel and stabling is no problem for this easy-going gentleman! 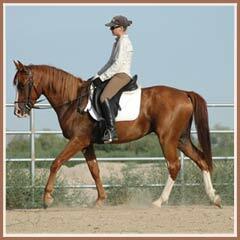 We eagerly anticipate starting Horatio under saddle next spring! 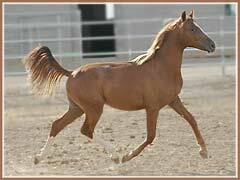 Horatio is availabe for $25,000. 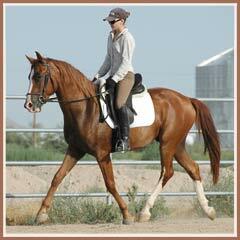 He is fully registered with both the American Trakehner Association and the AHA. 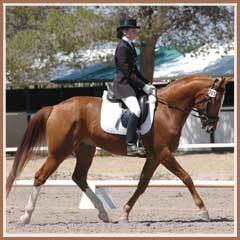 He is also lifetime registered with the USDF and USEF.